A quick sketch for the end of this month, many thanks for everyone supporting my comics! This picture is drawn on PC using Clip studio paint EX (Aka Manga Studio 5) with Intuos3 tablet. I was trying to buy a cintiq last year, because I was trying to speed up my works. Since I work full digital for many years now, I always try to find different ways to improve my work flow and speed. However, a cintiq is an expensive tool, and it doesn't guarantee you create better art or faster production. Thus I came across this alternative drawing monitor the "Yiynova". The Yiynova monitors cost about 1/3 of Wacom cintiq's, and it also feels like 1/3 the product quality of a cintiq. Yes, it's cheap, and it feels cheap. The quality of Yiynova monitors feels like it will fall apart in one or two years under intensive use. It really looks and feels like... crap comparing to wacom cintiq's. However, despite the cheap and crappy quality of the Yiynova monitors, it actually can perform what cintiq's can do. Pen pressure and performance is almost identical comparing between the two (You can try out a cintiq at a store or at a tech fair). Although the Yiynova monitors are similar to cintiq's performance, it lacks some of the best features a cinitq has. There for, no battery-free pen(stylus), no wacom tablet settings and controls, also no touch interaction. I return my first 12inch Yiynova monitor because the Yiynova software conflicts with my PC, and I couldn't get it to work. The customer service is very good, and tries hard to help for the product to work correctly, but still, somehow my PC conflicts with Yiynova softwares. So returning the product is the last thing I can do. In spite of my first encounter with the Yiynova monitor, I still recommend it if you're looking for a cheap cintiq alternative. This really wasn't my idea, I wanted Hercules to fight Godzilla... hahaha! When I was creating this picture, it reminded me of the movie "Big Trouble In Little China". Yes, the guy that inflated himself until he exploded like a balloon. I've always thought that scene was very disgusting when I was a child. Those very fake special effects from the old days always seems very real for the children point of view. 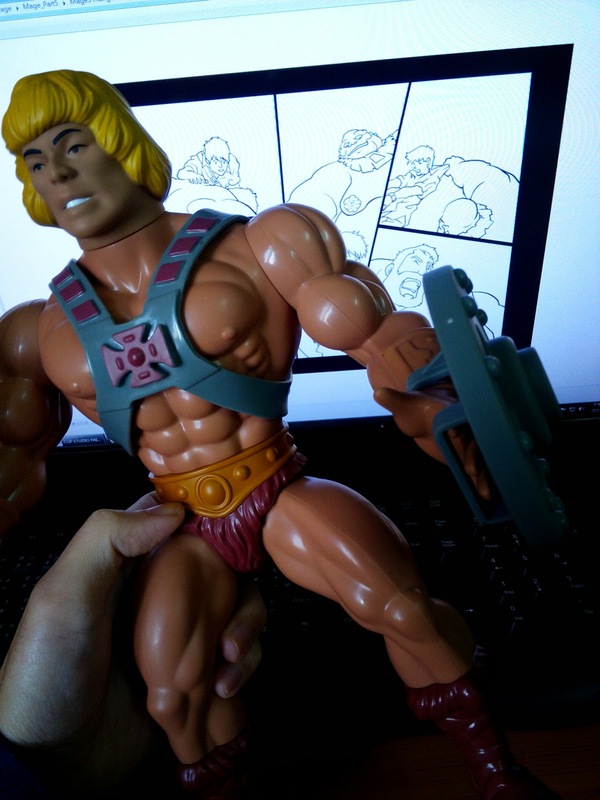 He-Man finally arrived, and it's HUGE! There is a particular way to serve something like this. 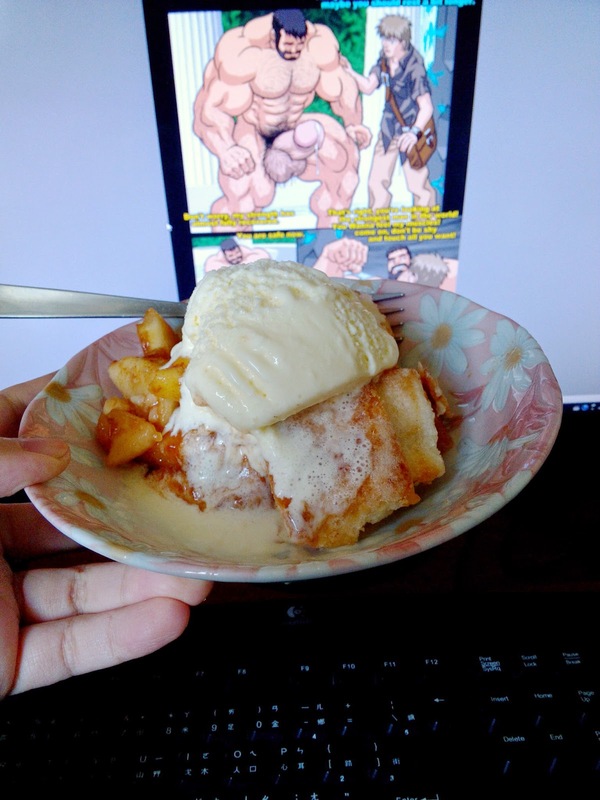 but I prefer apple pie with ice-cream and not apple pie with milk-shake.